The body provides you many indicators that it is fatigued and susceptible to illness: elevated heart rate, high body temperature, suppressed appetite, declines in athletic performance, poor sleeping patterns and more. Though these indicators may seem obvious as you read them, most athletes will not acknowledge that if the body doesn’t get the elements necessary to recover and overcome fatigue, sleep and food, it is inevitable that an illness is right around the corner. The body is an efficient machine. A fever or elevated heart rate are clear signs that you should back off on both your intensity and duration of riding and cross training. Please email me if you would like a free copy of my Body Analysis Spreadsheet to easily track this data on a weekly basis. Resting does not mean working out “easy” for an hour thinking it will make you feel better, it will only make you more fatigued. Your only have one tank of energy, let all of that energy be directed towards getting healthy. 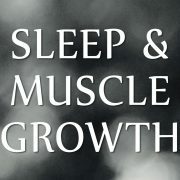 Let your goal is to get 8-10 hours of deep, high quality sleep each day. Make it easy on your body to go about its job of fighting off the infection or virus. Regarding hydration, every day consume half of your body weight in ounces of water (160 pounds/2=80 ounces of water per day). Proper nutrition would involve eating every two hours and eating fruits, vegetables and lean protein at every meal or snack. Please email me if you would like a free copy of my Body Analysis Spreadsheet to easily track this data on a weekly basis. As you start to feel a little better, resist the urge to jump back into training full-throttle. As a general rule of thumb, if your resting heart rate is up by more than 5 beats over your weekly average, then don’t train at all for that day. If your heart rate is within 3 beats of your weekly average, then exercise at a very easy effort level for 45 minutes or less. If your heart rate spikes straight up getting out of your car, then following your training program does not make sense. This physical experience will correlate with your resting heart rate (see #4 above). Unfortunately you’re training partner, riding coach or family member doesn’t actually know how you are feeling, so it’s up to you to make that judgment in the end. Google can be a wonderful tool, but even the most rational among us can turn into raging hypochondriacs if let loose on the Internet when feeling unwell. Before you know it, your bout of strep throat has escalated to some rare form of infectious disease. So make an appointment with a legit medical doctor. Training is intended to improve your strength and endurance; however, this improvement only happens when you eat correctly immediately after your workouts and races. 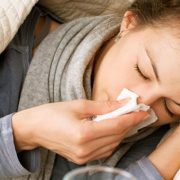 Immediately after a hard day of racing, your immune system is suppressed and your overall body is fatigued, this makes you vulnerable to an airborne virus. To improve your immunity, eat green fruits and vegetables at every meal. 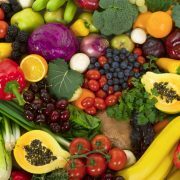 The main ingredient found in fruits and vegetables are phytonutrients. These are substances that plants produce naturally to protect themselves. Additionally, they provide the plant’s color, aroma, texture, and flavor. 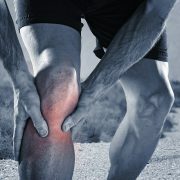 Oxidative stress and inflammation, a byproduct of high intensity or long bouts of prolonged exercise, increase the production of free radicals, which can cause further cell damage. Antioxidants act to combat these free radicals. Therefore, recovery nutrition must entail much more than simply consuming post-workout carbohydrates and protein. Consuming foods that are rich in vitamins, minerals, and essential fatty acids also speed the recovery process. While it’s necessary to supplement your diet with over-the-counter multivitamins and fish oils, consuming whole foods that are rich in antioxidants and omega-3 fatty acids need to be the foundation of your nutrition. Food is intended to provide macro- and micronutrients, including fiber that you just can’t get in a pill. According to a study published in the American Journal of Clinical Nutrition, the top 50-antioxidant rich foods included 13 spices, eight fruits and vegetables, five types of berries, and four different nuts and seeds. So why not include some of the following antioxidant-rich foods in your daily diet? Ginger, cloves, cinnamon, curry, and garlic – Each of these boast anti-inflammatory properties and bold flavors to go with any type of meal, be it sweet or savory. Saute your favorite vegetables with a bit of garlic and curry powder, or add a dash of cinnamon to your oatmeal. Blackberries, strawberries, cranberries, blueberries, and red raspberries – These berries are packed with vitamins A, C, E and beta-carotene. They’re also rich in the minerals potassium and magnesium. They can be tossed into salads for a taste of something sweet, or as a topping for your favorite yogurt. Got berries? Snack away! Artichokes, sweet potatoes, spinach, red bell peppers, asparagus, and red cabbage – These veggies are jam packed with vitamins, minerals, fiber, and flavor. Cooking them only enhances their antioxidant properties. In fact, researchers found that a cooked sweet potato has 413 percent more antioxidant properties than when raw. Quinoa – Though considered a grain, quinoa is actually a relative of green leafy vegetables like spinach and Swiss chard. Its low glycemic, and the only “grain” that contains all nine essential amino acids, making it a complete protein (7 grams per half-cup cooked). It’s also rich in manganese and copper, two minerals required as cofactors for the production of antioxidants. What’s more? It’s ready to eat in just 10 minutes. Walnuts – Are an excellent source of micro- and macronutrients like protein, fiber, and omega-3 fat. In fact, just one ounce of walnuts (that’s a shot glass or small handful) contains the recommended daily value, or 2.5 grams, of the essential amino acid alpha-linolenic acid (ALA). As if that wasn’t enough, once ingested, ALA is metabolized and converted to EPA and DHA (the kind of omega-3’s found in fish). The walnut is a rock star in the world of antioxidants. Add it to salads, yogurt, and protein/vegetable dishes. Training and racing is demanding and places the body under a great deal of metabolic stress. A daily diet rooted (no pun intended) in nutrient dense foods will play an integral role in both your recovery and enhanced immunity. While a post-workout recovery drink is vitally important in replenishing muscle glycogen and aiding in muscle repair, a diet that focuses on antioxidants will help to minimize the cellular damage that can be caused by the oxidative stress of free radicals. Allowed to roam freely, free radicals can very subtly damage muscle tissue and negatively affect your speed & endurance.